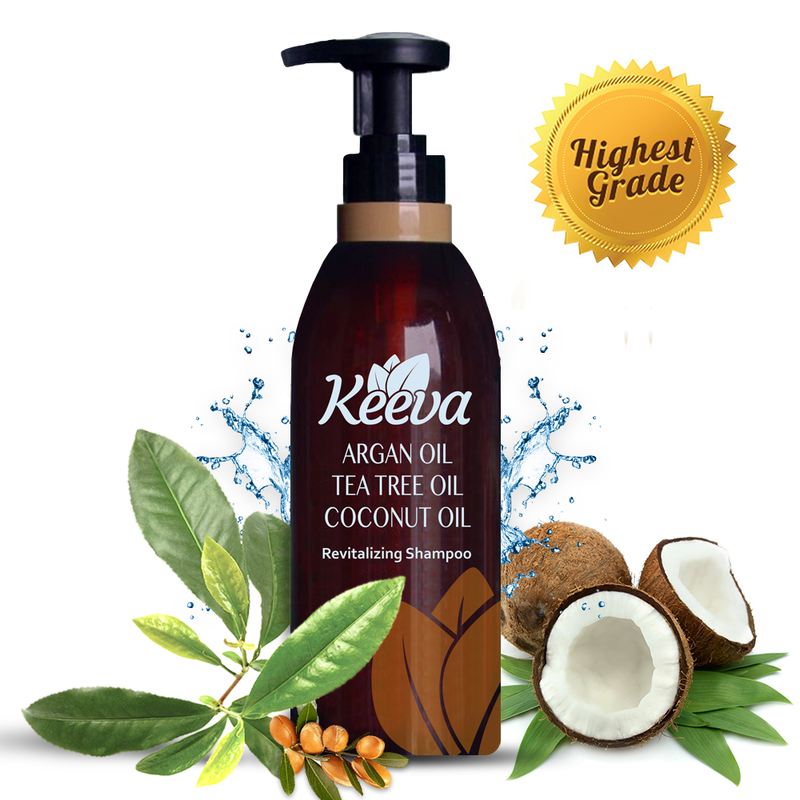 A combination of Tea Tree, Argan, and Coconut Oils make Keeva Revitalizing Shampoo... essential! - Susan Said... WHAT?! 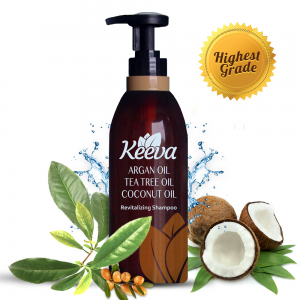 A combination of Tea Tree, Argan, and Coconut Oils make Keeva Revitalizing Shampoo… essential! This has been a brutal winter. The snow. The wind. It’s the Polar Vortex again! Every year like clockwork, the cold weather wreaks havoc on my hair. But, as I get older, it seems to be getting even worse — dry, damaged, split ends. It’s a battle I just haven’t been able to win. But, I recently received a promotional sample of Keeva Revitalizing Shampoo. So, now, I am going to gush. This is the best shampoo for damaged hair that I have ever tried (and I have tried a lot). The combination of ingredients makes my hair smooth, soft, and shiny. It’s easier to style, and looks so much healthier! In a 5-star rating system, I would give it 6 stars – it’s really that good. This organic shampoo is paraben free, sulfate free, and safe for my color treated hair. And, it’s made with the triumvirate of ultra-powerful essential oils: Tea Tree Oil, Argan Oil, and Coconut Oil. Alone, these are great for hair. Together, they are amazing. In fact, Keeva is so confident that you will love this shampoo, they offer a 60 Day 100% Refund Policy. If you think the shampoo hasn’t improved your hair at all, they will give you a full refund, no questions asked. Full disclosure: Keeva is a little pricey. With Amazon Prime it is $19.97, which is a little higher than something like Nexxus and certainly higher than grocery store brands. However, I think it is well worth the price. This is the first product I’ve tried from Keeva, but based on my success with this shampoo, I am anxious to test more. To learn more and to see the entire line of all natural beauty essentials including Anti-Aging Anti-Wrinkle Night Cream Moisturizer, Tea Tree Oil Serum for Acne and more, visit Keeva Organics. And, to learn more about the many benefits of using essential oils in all aspects of your life — from healing, to aromatherapy, to cooking, to cleaning — visit Essential Oils Informer. PHOTO: Used with permission by Keeva. DISCLAIMER: No financial compensation was received in exchange for this post. I did, however, receive a promotional sample of the Keeva Revitalizing Shampoo mentioned above in order to fully evaluate the product. Regardless, I only recommend products or services I believe will be good for my readers. With stunning jewelry by Cynthia Gale, I'm in a New York state-of-mind! Susan's Pick: A perfect outfit for after-Christmas visitors! How to choose an elegant evening gown, without looking like you're headed to the Prom! Cha-ching! Lookalike coin jewelry leaves a little jingle in your pockets! Separator image Posted in WOMEN'S HEALTH & BEAUTY and tagged with Keeva Revitalizing Shampoo, Susan Conforte McNeill, Susan Said What?!. Make his heart race this Valentine’s Day… red dresses for under $100! 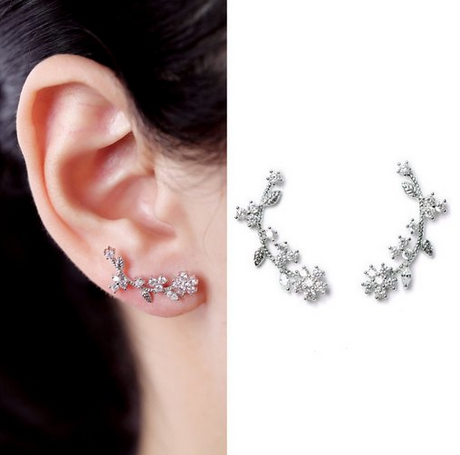 Stunning Everu floral ear cuff earrings are perfect for spring… and not a moment too soon!